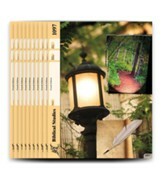 This set includes Basic New Testament Church History High School PACES 121-132. This fascinating study tracing the roots of church history will develop the student's appreciation of thechurch's role from its earliest days. It is intended for the upper-level high school student. 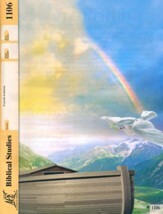 The subjectmatter explains God's plan for the formation and spread of the church and the extension of the Gospel. 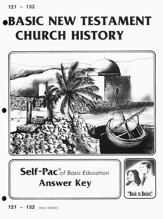 This answer key set includes four PACE SCORE keys that cover Basic New Testament Church History PACEs 121-132. 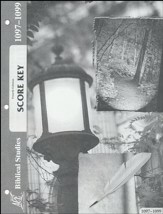 Keys are three-hole-punched, and have each page and question number clearly labeled; answers are line-listed. Test and workbook exercises included. 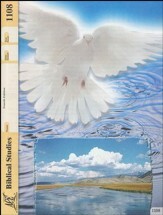 1 booklet. Highschool. Accelerated Christian Education (ACE) curriculum has Scripture as its foundation, fully integrating biblical principles, wisdom, and character-building concepts into education. Students move at their own speed through the self-instructional "PACE" workbooks. Following the mastery approach, PACEs are formatted for students to complete the variety exercises found throughout the workbook, take a practice "self test," and conclude with a "final test" (torn out from the center), to measure understanding. 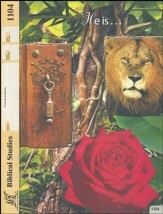 This set includes New Testament Survey High School Electives PACEs 1097-1108, (4th Edition). 39 pages each, paperback booklets. Grade 9. PACE 1097-1108. 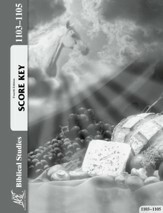 This answer key set includes four PACE SCORE keys that cover New Testament Survey PACEs 1097-1108 (4th Edition). Keys are three-hole-punched, and have each page and question number clearly labeled; answers are line-listed. Test and workbook exercises included. 4 booklets. Grade 9. 4th Edition. 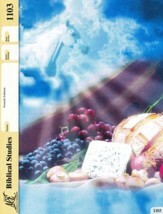 ACE's Biblical Studies PACE 1097 covers lessons about the background and overview of the New Testament and four gospel records. The memory verse is Matthew 5:8. A variety of exercises help with review and retention. 43 pages, paperback booklet. 4th Edition. Grade 9. 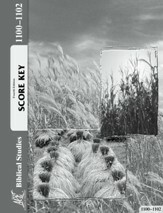 ACE's Biblical Studies PACE 1099 covers the book of John and Acts. 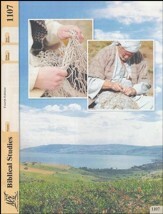 Lessons emphasize being blessed and being longsuffering. The memory verses are James 1:12, and II Timothy 4:2. 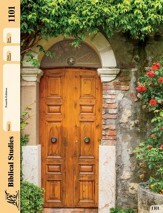 ACE's Biblical Studies PACE 1101 covers lessons on the book of II Corinthians and Galatians. The memory verse is Galatians 5:22,23. 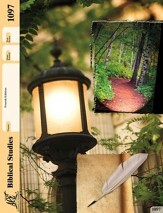 ACE's Biblical Studies PACE 1102 covers lessons on the books of Ephesians and Philippians. The memory verse is I John 2:1. 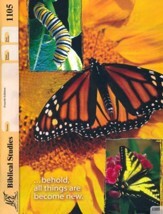 ACE's Biblical Studies PACE 1103 covers lessons on the books of Colossians, I Thessalonians, and II Thessalonians. The memory verses are Colossians 1:9, and I Peter 1:14. 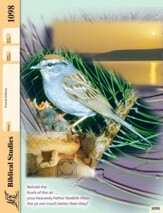 ACE's Biblical Studies PACE 1105 covers lessons on the book of Hebrews. The memory verses are Hebrews 3:14 and Hebrews 12:28. 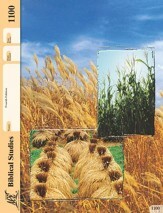 ACE's Biblical Studies PACE 1106 covers the books of James, and I & II Peter. Lessons emphasize being holy, and being ready. The memory verses are I Peter 1:15, 16, I Peter 3:15. A variety of exercises help with review and retention. 39 pages, paperback booklet. 4th Edition. Grade 9. Students will study the beginnings of the Christian church with ACE/School of Tomorrow's Basic New Testament Church History curriculum. 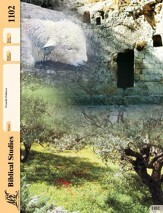 Self-Pac PACE 121 provides an overview of church history, the Old Testament Prophecies of Jesus, the Reception and Rejection of the Messiah by Israel, and the Resurrection to the Kingdom. Fill-in-the-blank and multiple-choice exercises help with review and retention. Paperback booklet. 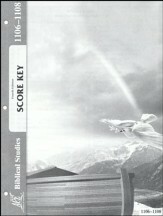 Answers are in the sold-separately PACE SCORE Key booklet. High School. ACE's Basic New Testament Church History PACE 122 covers The Source of His Story: The Gospels, The Fullness of time, His Ministry, The Week That Changed the World, and The New Beginning. A variety of exercises help with review and retention.50 pages, paperback booklet. High School. PACE 122. 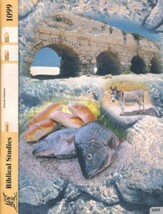 ACE's Basic New Testament Church History PACE 123 covers In Jerusalem (Acts 1-7), In All Judea and Samaria (Acts 8-12), and To the Uttermost Part (Acts 13-28). A variety of exercises help with review and retention.47 pages, paperback booklet. High School. PACE 123. 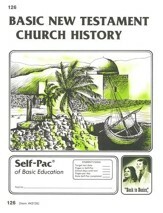 ACE's Basic New Testament Church History PACE 124 covers a Divine Preview of Church History, and the Ephesus Period: Apostolic Sunset. A variety of exercises help with review and retention. 29 pages, paperback booklet. High School. PACE 124. ACE's Basic New Testament Church History PACE 125 covers the History of Smyrna: The Blood of the Martyrs, the Doctrines and Heresiesof Smyrna, and the Spiritual Lessons of Smyrna. A variety of exercises help with review and retention. 26 pages, paperback booklet. High School. PACE 125. ACE's Basic New Testament Church History PACE 126 covers the History of Pergamos, the Men andDoctrines of Pergamos, and the Spiritual Lessons from Pergamos. A variety of exercises help with review and retention. 29 pages, paperback booklet. High School. PACE 126. 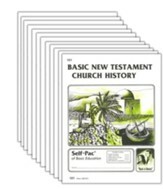 ACE's Basic New Testament Church History PACE 127 covers the History of Thyatira, the Teachings of Thyatira, and the Spiritual Lessons from Thyatira. A variety of exercises help with review and retention. 35 pages, paperback booklet. High School. PACE 127. ACE's Basic New Testament Church History PACE 128 covers the Causes of the Reformation, the Lutheran Reformation, the Zwinglian Reformation, and the Calvinist Reformation. A variety of exercises help with review and retention. 40 pages, paperback booklet. High School. PACE 128. ACE's Basic New Testament Church History PACE 129 covers the Anabaptist Movement, the Anglican Reformation, and the Post-Reformational Developments. A variety of exercises help with review and retention. 34 pages, paperback booklet. High School. PACE 129. ACE's Basic New Testament Church History PACE 130 covers the Pietistic and Moravian Revivals, the Great awakening, the Methodist Revival, and the Roman Catholic Church. A variety of exercises help with review and retention. 35 pages, paperback booklet. High School. PACE 130. ACE's Basic New Testament Church History PACE 131 covers the Modern Missionary Movement, Anglo-American Evangelicalism, and the Brethren and the Prophetic Word. A variety of exercises help with review and retention.30 pages, paperback booklet. High School. PACE 131. ACE's Basic New Testament Church History PACE 132 covers Enemies of the Faith, the Cooling Off of the Church, and the Reaction. A variety of exercises help with review and retention. 35 pages, paperback booklet. High School. PACE 132.